Hey everyone! Happy weekend- FINALLY, amirite? 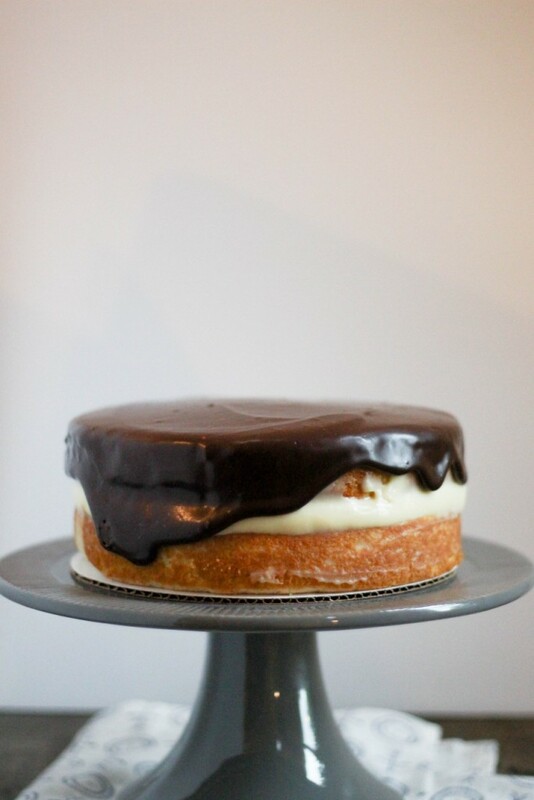 Today we’re on Boston Cream Pie, and listen, it’s a great recipe. 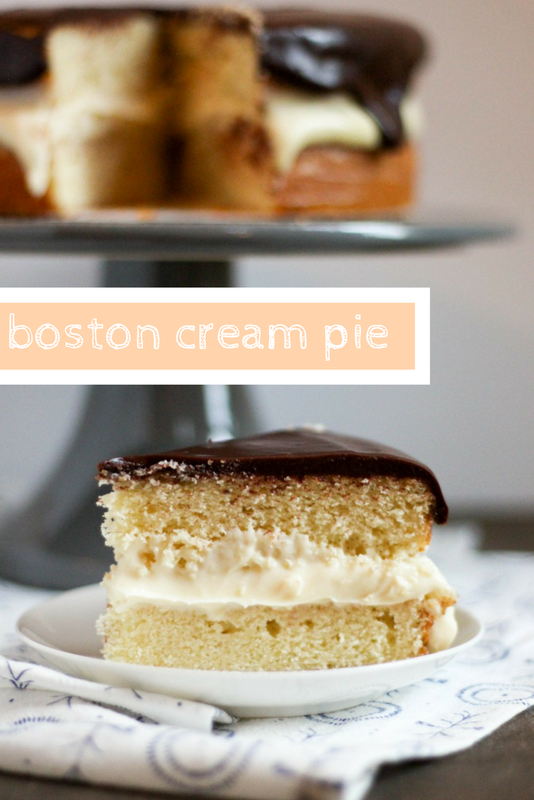 I used to live in Boston- that’s where I went to college- and I have had many a Boston Cream Pie. And here’s the thing- it’s not super easy to make one at home. The problem is the filling. It’s just not sturdy enough to hold up most cakes, which is why when you buy them they sometimes come with that plastic ring around the outside. And that’s nifty and all, but we’re not about to do it at home. At least not most of us. So, the goal is to make a very thick custard filling here. You want it to be like the thickest vanilla pudding you’ve ever made, but not in a gross way. Don’t worry, we’ve got other goals too. We still need the cream to be smooth and super flavorful and basically something you’d want to jump right into. As for the cake, I’m kind of picky. 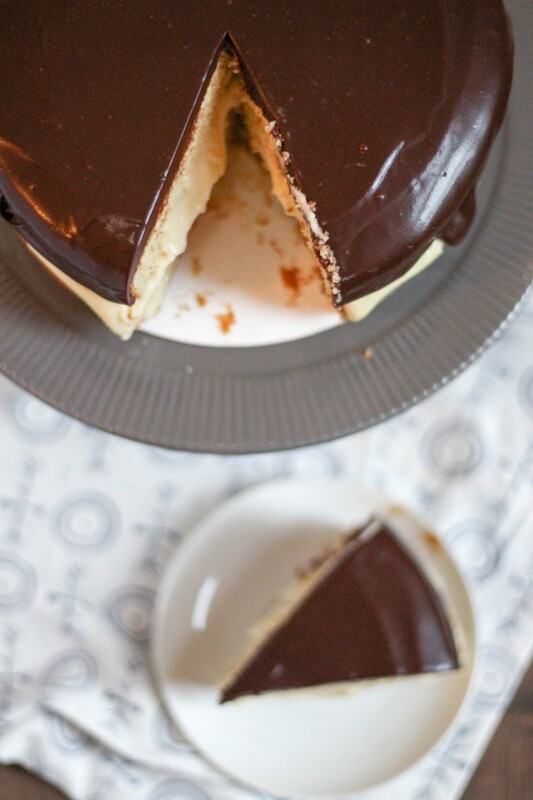 A lot of Boston Cream Pies are made with super light sponge cakes because of the structure issues when it comes to stacking it all up. But sponge cakes are just a bit more chewy, and I think they don’t fit as well with the end product as a classic yellow cake. So for this recipe, I’m using a classic yellow cake. It’s super easy, tender, and it tastes fantastic. You can find the recipe for the yellow cake here. 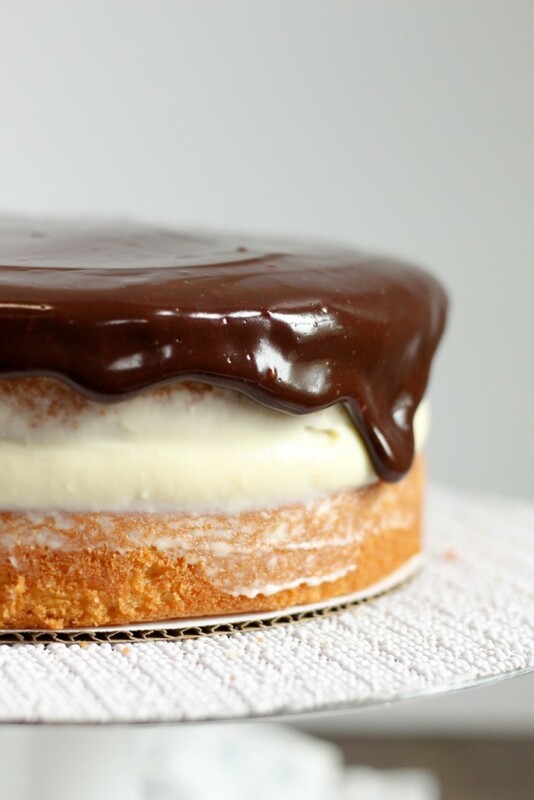 As for the ganache, there’s honestly not a lot needed here. 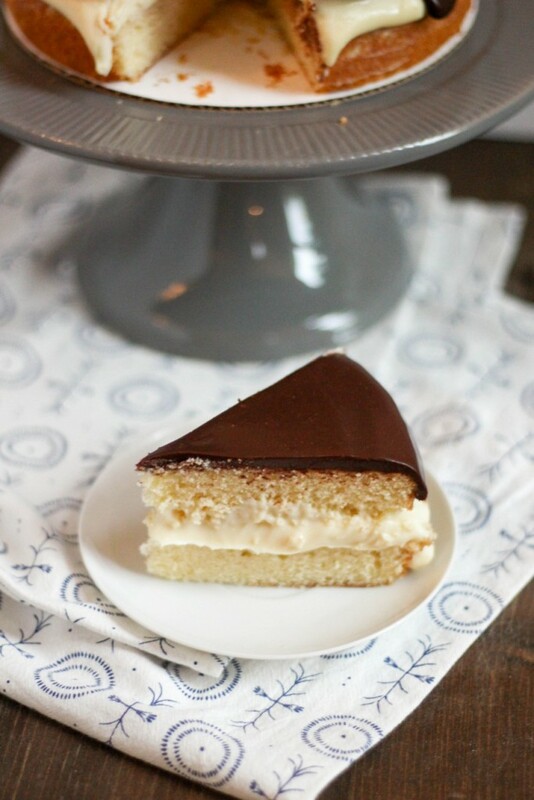 I like to make mine a bit more flavorful by adding vanilla extract and salt to the mix, but you can absolutely go without and just use chocolate and cream. The important thing is consistency- you want the ganache to be fairly thick so that it holds up on top of that pretty yellow cake. And that’s everything you guys! 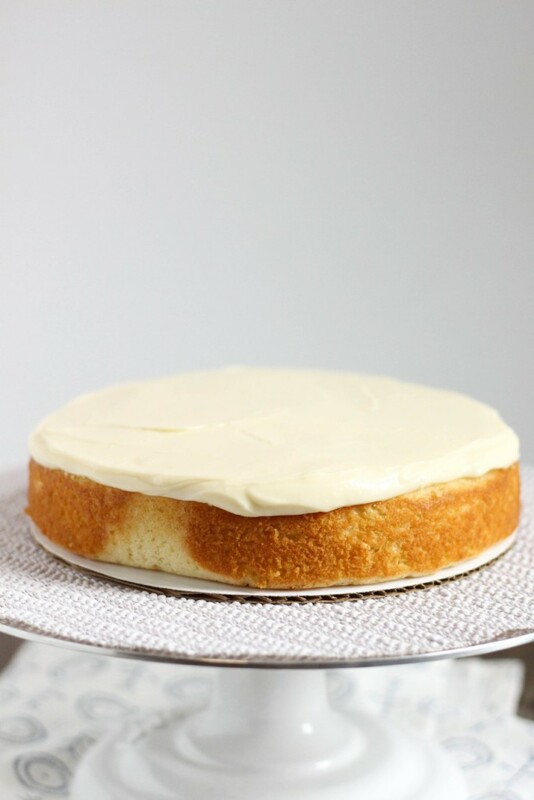 You start with one layer of yellow cake, and pile on that silky, thick, vanilla cream. Gently stack your next layer of cake on top, and smooth out the edges of the cream. Then, pour over your chocolate ganache, and chill the whole thing for a few hours before serving. MAGIC you guys, I promise. 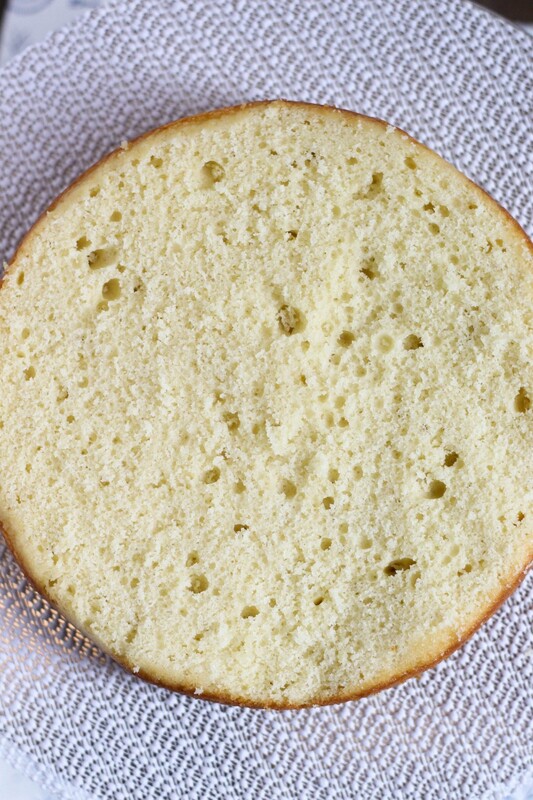 Find the recipe for yellow cake here! In a medium saucepan, heat the milk, cream, vanilla, salt, and 1/2 cup of the sugar over medium heat until simmering. 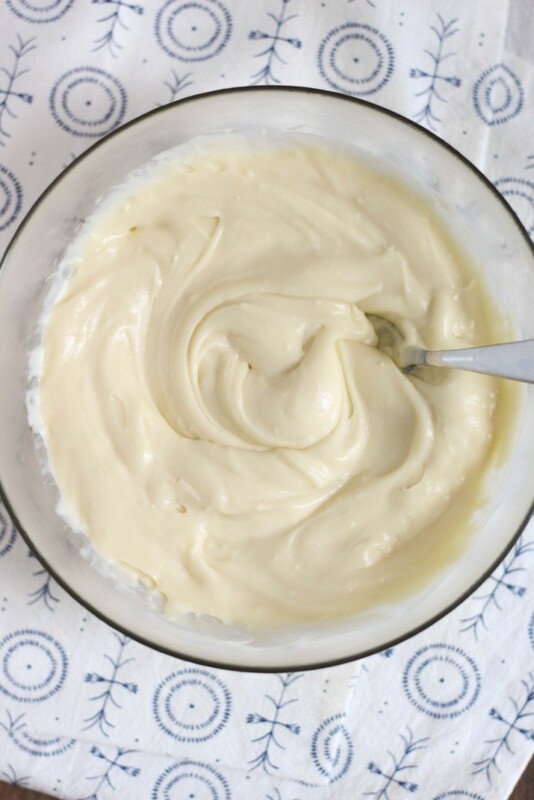 Meanwhile, in a medium bowl, whisk together the remaining 1/4 cup sugar, egg, egg yolks, and cornstarch until smooth. Once the milk mixture is simmering, slowly pour about 1/2 cup of the hot milk into the egg mixture, whisking constantly. Then, pour the entire mixture back into the saucepan and whisk constantly over medium heat until it is very thick, about 5 minutes. Pour the custard into a heat-safe bowl through a mesh siv to remove any lumps. Cover the custard with plastic wrap placed directly on top of the mixture, and chill for several hours until completely chilled and firm. Heat the heavy cream in the microwave in a medium bowl until boiling. Stir in the chocolate chips, vanilla, and salt until the chocolate has completely melted and the mixture is thick and smooth. 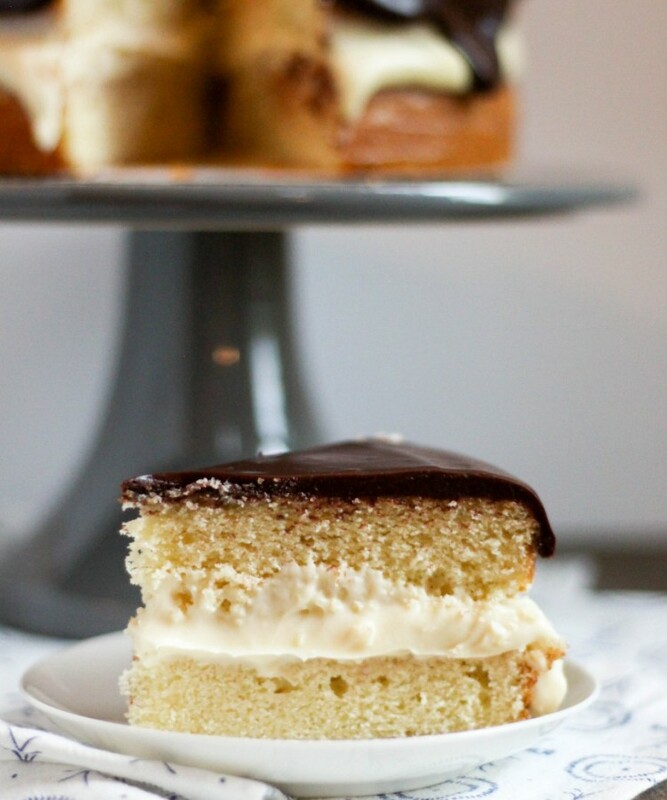 First, place one of your yellow cake layers on your plate. Then, spoon the cold custard on top of this layer, and smooth out with a knife or spatula until smooth. The layer of custard will be fairly thick, and should reach all the way to the edges of your cake. Then, gently place the next yellow cake on top, and press gently to adhere it to the custard. Use a spatula to smooth out any custard that starts to bulge out slightly. Pour your still-warm ganache over the top of the cake, and smooth it out so that it drips down the edges slightly. Chill the entire cake for at least an hour before serving!